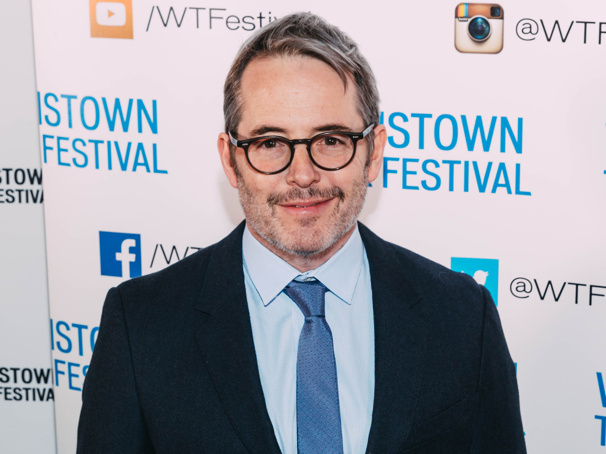 Matthew Broderick is headed to London's West End. The two-time Tony winner has signed on to reprise his 2009 off-Broadway turn in The Starry Messenger, a drama by Oscar winner and Olivier nominee Kenneth Lonergan (Manchester by the Sea, The Waverly Gallery). Directed by Sam Yates (Glengarry Glen Ross), the production will begin previews on May 16 with an opening set for May 29 at the Wyndham's Theatre. Broderick will be joined onstage by Oscar nominee and stage alum Elizabeth McGovern (Downton Abbey, Time and the Conways). The Starry Messenger centers on Mark Williams (Broderick), an astronomer at New York City's Planetarium who feels a closer connection to the infinite, starry sky than to his job or even to his wife, Anne (McGovern). Mark doesn't believe in fate or divine intervention, but the universe has other ideas. After a chance meeting with Angela, a young single mother, the stars appear to have aligned. But when a catastrophic event rips through their lives, Mark is forced to re-evaluate his life, his faith and his place in the universe. Broderick, who played the role of Mark in the 2009 Lonergan-directed premiere of The Starry Messenger, earned Tony Awards for his turns in Brighton Beach Memoirs and How to Succeed in Business Without Really Trying. He won an Outer Critics Circle Award for Torch Song Trilogy and an Obie Award for Evening at the Talk House. This production will mark Broderick's first West End performance. The Starry Messenger will play a limited engagement through August 10. Additional casting will be announced soon.